The Modh Brahmins take their name from a town in Gujarat where they originated. Since that time, they have spread out into five states in western India where they speak local languages. A high percentage of them also speak English as higher education in India is mostly English medium. Traditionally in the varna system Brahmins are considered as priests, but a temple priest is a lowly position that no Modh Brahmin family wants their sons to aspire towards. Rather, there is strong pressure for higher education, particularly in computer science and engineering. Modh Brahmins have a strong work ethic and are often leaders, whether politically, intellectually, spiritually or socially. Modh Brahmins are still deeply influenced by the traditional four stages of life; the first student stage is followed by the householder stage, where marriage, raising a family and being a productive member of society is the primary obligation of an individual. Once children are married there is time for spiritual concerns in the third stage of reclusiveness, which is followed (this is rarely practiced) by itinerant homeless wandering (sannyasa). Modh Brahmins as an influential and generally well-to-do community are not unlike the middle classes of most places. Their main needs involve relational strains that are usually kept behind closed doors. Modernization is breaking down family units which have been the glue to society for many generations, and loneliness is increasingly a problem. They are expected to "achieve it all," but ironically, achieving it all can be empty. 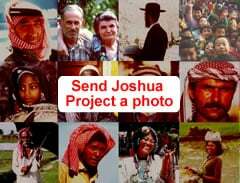 * Pray for Christ to reveal Himself to Modh Brahmin leaders. * Pray for Holy Spirit directed Christ followers to go to Modh Brahmin communities. 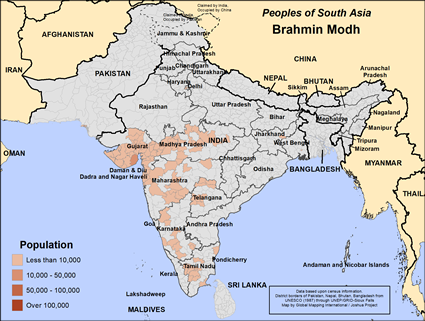 https://en.wikipedia.org/wiki/ModhView Brahmin Modh in all countries.